Let’s face it; you never get the perfect frothy buttery coffee unless you made it in the blender for bulletproof coffee. No matter how hard you try to make the bulletproof coffee by hand, most of the time you end up with an oily little bit foamy coffee that doesn’t test that “kicking.” Unless you are a professional has time and energy to make this hassles every morning with whisk or spoon. You must need a good blender for creating this new SENSATION of coffee. Bulletproof coffee without a blender is likely hard to make it. What to Look for in a Bulletproof Coffee Blender? Blender for Best Bulletproof Coffee And How You Can Workaround It. Look How to Make Bulletproof Coffee Easily! While making coffee or other hot drinks, there are some specific things that you should count. So, look these points given below to understand what your blender for bulletproof coffee would be. Look for a high-quality jar. Always get the thicker plastic or glass materials that have high heat tolerance. You are going to blend hot liquid and fat inside the container. So, that has to be good enough to handle fat and heat thoroughly. Cheap/thin plastics usually crack when coming into excessive heat either immediately or after sometimes. So, even you need to invest bit more money do it. Get a straight blender. Don’t get an upside-down blender for blending hot liquids. Upside down blenders like Nutribullets is terrible at handling steamy hot liquids. Thus the drink made more steam and air pressure which could blast in no time. The lid that could be uncovered slightly. There is some blender lid that has spreadable cap middle of it. The lid is cover one time, but you can add more ingredients during blending without stop it or remove. This kind of caps is useful for lessening air pressure and manage to blend safely. We have spent 200+ hours on researching on some popular yet useful mixer that is good for this particular coffee. And finally, we have succeeded to finalize these ‘Lucky 7’. During our research, we paid attention to some underlying factors that make the bulletproof coffee and other drink delicious. Such as speed, heat tolerance of a blender, lids and so on. So the mixer you got here will be the perfect one for this job. But yes, we cared about other stuff that is important for preparing other meal and drinks. So here are the reviews of 7 best blenders for bulletproof coffee that you could buy. Here is another best blender that can make a huge amount of drinks within a few mins. The Blendtec Total Classic Original Blender is a real option for creating a large portion of drink and meals. It has 75 oz jar which can hold 32 oz liquid. So literally you can make four cups of bulletproof coffee with the blender at a time. The construction of the blender is really strong and thick. The bled it has got 10 times stronger than other mixers that they claimed. But we don’t find it good at mixing fruits peels that well. So your smoothie becomes slightly chunky than the Vitamix that we earlier reviewed. The blender has some pre-programmed buttons and manual speed control. So you could use them various drink and meal preparations. The single touch pre-programmed cycle is a handy and quick option for making hot coffee, soup, dip or even ice cream. Thanks to its 1560 watts motor that makes it all possible in seconds. 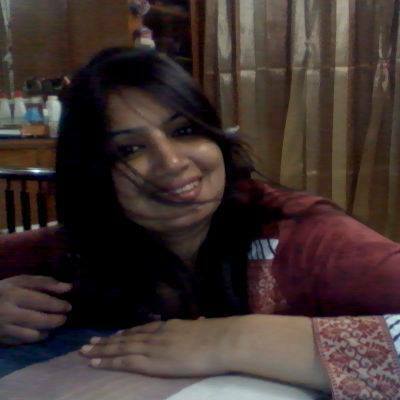 Make a large quantity of meal or drinks. The power cord is very sturdy and withstands all twisting, heat, and pressure. The cycle buttons are great for making sure things like ice cream, smoothies, batter, etc. Suitable for heating your soup too. High heat resistance of the pitcher that measurement marking also. Good for making fresh juices. Comes with eight years of warranty. Not good with blending fruit peels. The Vitamix 5200 Blender is made for those who want all and everything from a blender. It has 64 oz measurement marking pitcher that can hold up lots of ingredients at a time. So if you need to make coffee for 2-3 people, often this is the perfect option for use. Also, it gives much room to steam that produced later because of blending. Its unique aircraft grade steel blades, high torque motor makes the immense storm inside the pitcher that creates mostly foamy bullet-proof coffee ever. Not only the coffee you can make your protein shakes, smoothies and hot soups in it whenever you want. If you want a long time partner for your drinks and making other stuff than Vitamix 5200 is a perfect option to consider. The container is made of BPA free polycarbonate, and it’s shatterproof. Suitable for handling steaming hot to frozen any food. Ideal for preparing a medium to large batches or meal. Usually, the motor doesn’t get hotter during long-term usage. Comes with 7 years of warranty. Expensive and there are no other containers for additional usage. Blender is an efficient blending system that gives you ultra fine butter-coffee every time. It makes veloute soups, smoothies, pancake batter, milkshakes, and dessert items pretty well. The blender has got 600 watts motor with four pre-programmed settings. With the pre-set program you make soups, smoothies, ice cream, frozen desert pretty well. Thanks to its manual speed setting and pulse mode, you can prepare any drink with the desired consistency. The blender even has a paddle to help fold the ingredients. The voltage of the blender is 230-240v. Even its so powerful it makes a shallow sound while on. The capacity of the blender is 18 oz. You can make minimum 4-5 cups of coffee one at a time in this blender. This blender could be disassembled fully so that you can wash it thoroughly. Also, it has a self-cleaning mode that makes the cleaning process more manageable. Easy to clean and completely detachable all the parts. Blends frozen items very well. Four different variable speed settings. The glass beaker is ok but its heavy and easy to drop and crack. There is no container or parts come with the blender; you need to buy other accessories separately. We all know more or less Ninja Blenders. This blender is very popular among personal and commercial usage. This 72 oz blender give outstanding performance with its 1000 watt motor power. The mixer has 6 assembly that gives your perfect frothy butter coffee or bulletproof coffee every time. You can make 4-6 cups of coffee in this blender at a time. The blender offers total crushing technology with this power and blade combo that pulverizes and crush through ices, fresh/frozen fruits, vegetable, grain, etc. its ideal for making a smoothie with whole fruits, greens, and smoothies. Also, you can make bread pizza or bread dough in it. The controlling unit of Ninja blender is pretty simple and basic. It has power, pulse buttons including other three-speed switches. The speed button is limited to low, medium and high. There is no preset program for drink or dip in this unit. Locks into the base securely with a “click” sound. The blender blends are very sharp and stay sharp for a long time. Comes with lids that lock open to adding on the middle of blending. Powerful blender motor that ideal for all kind of ingredients. Ideal for crushing ice as snow. Included pouring mouth on the lid. The blades need extra cautions to clean either end up cutting your finger. Some complaint about the jar cracks after sometimes due to heavy usage. The Hamilton Beach 58148A Power Elite Multi-Function Blender is an unbeatable blend especially for single for its price. What will you say about when you would know a 700-watt blender could cost only 30 dollars? Well this blender not only has a powerful motor, but it also has 12 different blending function that includes chopping, blending, grinding, dicing, puree and other. You can make ice drinks, milkshakes, smoothie, salsa and so on. It includes a pulse button as well. The blender comes with a 40 oz glass jar and a grinding container. Both of them are dishwasher safe including the bled. The jar and blade quality is impressive but the glass jar is slightly heavy for quick movement. You need to extra careful on that. The plastic lid of the pitcher has a hinged cup for easy pouring. Another good thing about the blender is the power cord of it fits into the bottom of the base. The mixer is convenient and safe for daily usage. 12 different pre-set functions for drinks, chop, blend, crush items and so on. Unique pouring mouth for convinient usage. Comes with three years of warranty. The glass jar needs to use very rarely because it’s heavy and also can slip from hand. The hand blender is the most versatile option as a blender. You don’t need a kitchen blender to do all the stuff. That is why we select two hand mixer that can make creamy bulletproof coffee. The KitchenAid KHB1231WH 2-Speed Hand Blender is an efficient, affordable option for any homemaker. It comes with stainless steel S-shaped fixed blade with non-slip comfortable grip handle. Also, the blender includes a container with a lid. The grinding pot can hold 700 ml of liquid at a time. But you can use it in your coffee mug, measuring cup as well. The blade head is fixed so its a hassle to clean inside. You need to be careful while washing it. Good news is the container and lid is dishwasher safe. So you are safe from this to clean by hand. The blender is quite long even when its detach from the arm its 8 inches. Sometimes the length is good for deep pots sometimes not. If you often use a hand blender for different kind of pots then it will handy. The mixer comes with one year of warranty. Good for blending hot liquids like soup, puree, and coffee. The handle grip is comfortable to use. Comes with a 3 cup BPA free blending container for convenient use. Two different seed for crush, blend or puree with ease. Comes with so many amazing colors including, white, lavender, cranberry, green apple, empire red, etc. The blender is slightly heavier and tall. The blade is tricky to clean. Thus it does not seem detachable. If you want a blender only for froth the milk or blend your drink nothing else, then there you have it. The PowerLix Milk Frother Handheld Battery Operated Electric Foam Maker. First thing first. It makes perfect cream or foam in your drink. The froth is good as close to a professional espresso maker. Within 15 sec, it makes the foam in one cup of hot milk. We tried cold milk out of the freezer, and the blender works for that one too. 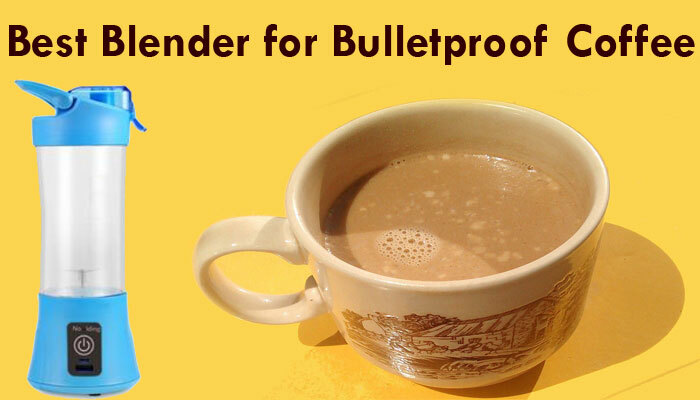 Not only the bulletproof coffee, but the blender is also an excellent choice for your latte, milkshake, mocha, etc. the mixer has strong, the food-safe material in the wand and the circle whisk. These duos don’t get rust or break over time of use. The design of the blender is convenient also. The non-slip grip, placing of the power button is ideal for convenient use any time of the day. Makes excellent froth with cold or hot milk. Complete its work within a short time. The power switch is just underneath the thumb. The wand could be slightly longer. At the end of the discussion, you all get at least a clear idea of what would be a blender for bulletproof coffee. It does not mean to be expensive or only for a single job. A perfect blend could be an excellent investment for all kind of work. If you choose from one of these, you will get the blender for bulletproof coffee including other items.